Bald Cypress is one of the best trees for wet locations and it also grows very well in organic well drained soils too. Bald Cypress is a tree that grows from the Hudson Valley all the way to the deep south Florida everglades. 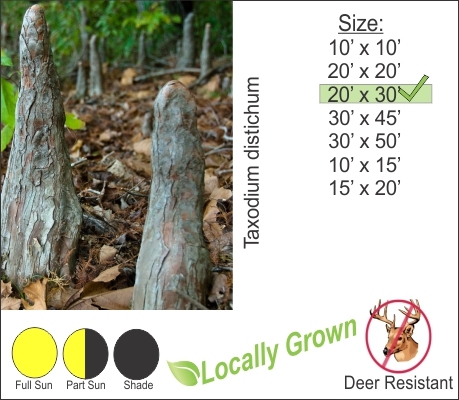 This tree in its mature form develops these awesome knobby knees that rise out of the ground like stalagmites (see the above photo of a Bald Cypress knee). Plant this tree near the water’s edge and give it some space to grow.